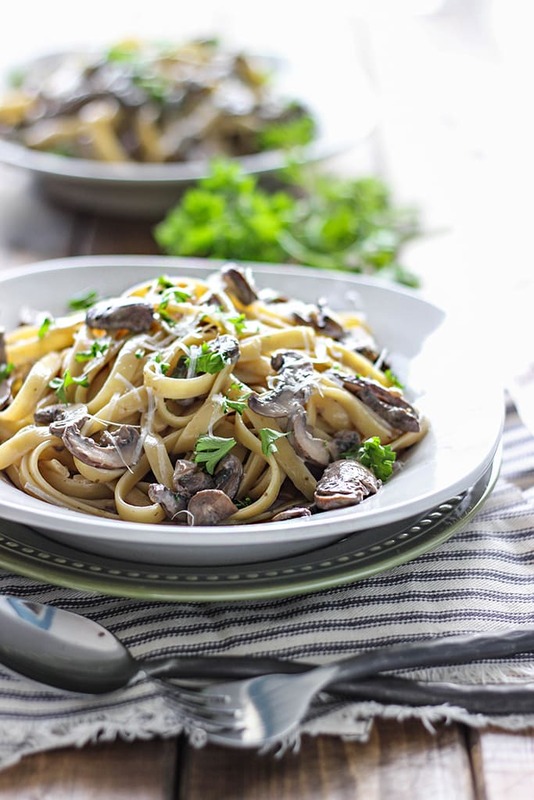 Hello mushroom Alfredo! Here’s yet another great idea for Valentine’s Day. Or if you’re just in the mood for some good pasta! 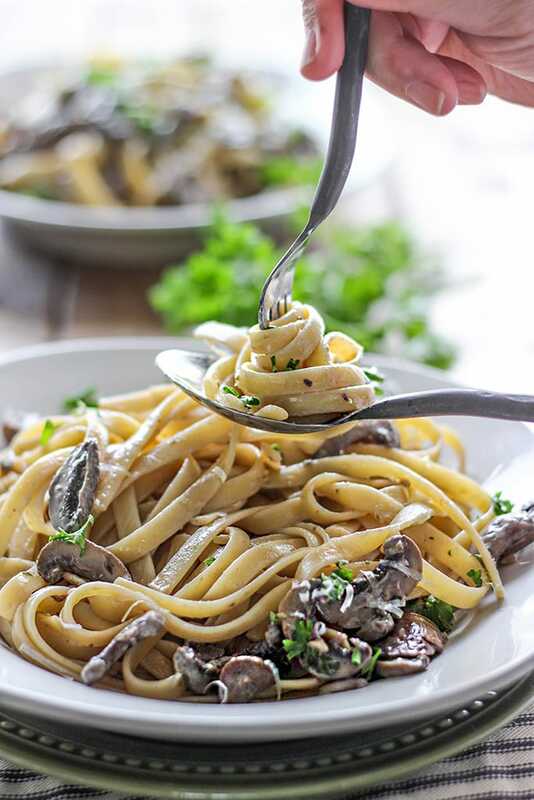 I know it looks like beef stroganoff but I guess all pastas with mushrooms in them end up having a stroganoff look. 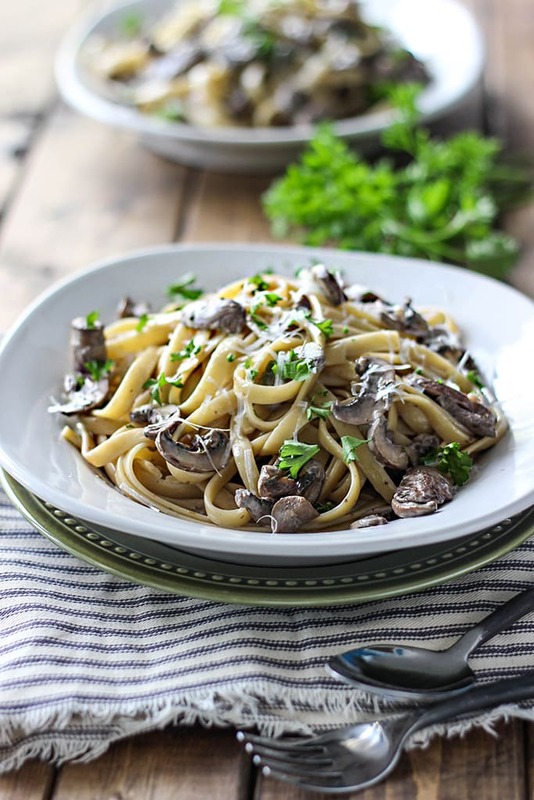 This one’s a simple creamy sauce infused with the earthiness of mushrooms. I used portobello mushrooms because they’re my favorite kind but if you prefer others go ahead and substitute. 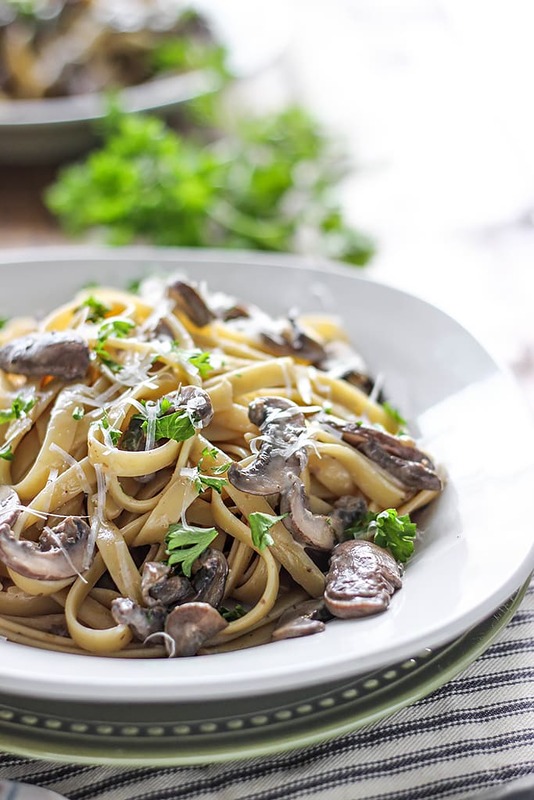 Shiitake or cremini, anything goes. One thing I love about portobello? How rich and meaty it is. It’s a great substitute for meat. If you missed the last post, my other Valentine’s Day meal idea was a mozzarella stuffed giant half pound meatball pasta. I may have gone overboard with it but it’s fun being outrageous every now and then. Right? Meanwhile, can I say how absolutely delicious this pasta is? Granted, I did top up with more heavy cream and Parmesan cheese than the recipe calls for (the recipe will yield a light creamy sauce) but oh wow was it good. I love it more than chicken or shrimp Alfredo. This one is a keeper. It’s a really good combination, I think. 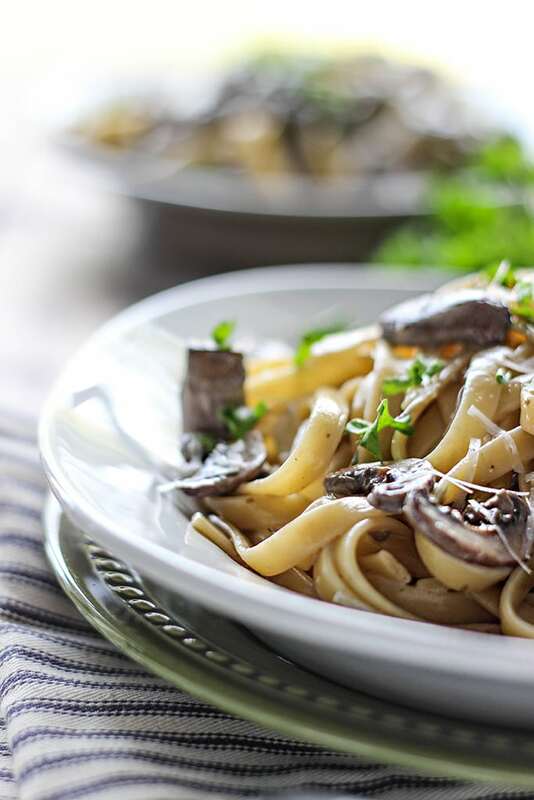 I’ve always loved mushrooms so if this sounds like you, this recipe will be great for you. It’s creamy. It’s hearty and chock full of mushrooms. It’s gonna look like a ton of mushrooms for just two people but as always, they will shrink once cooked down, I promise you. I even included a pic to show you just how much they cooked down! So what we’re doing is sauteing the mushrooms and garlic in some butter until they release their juices and cook down. 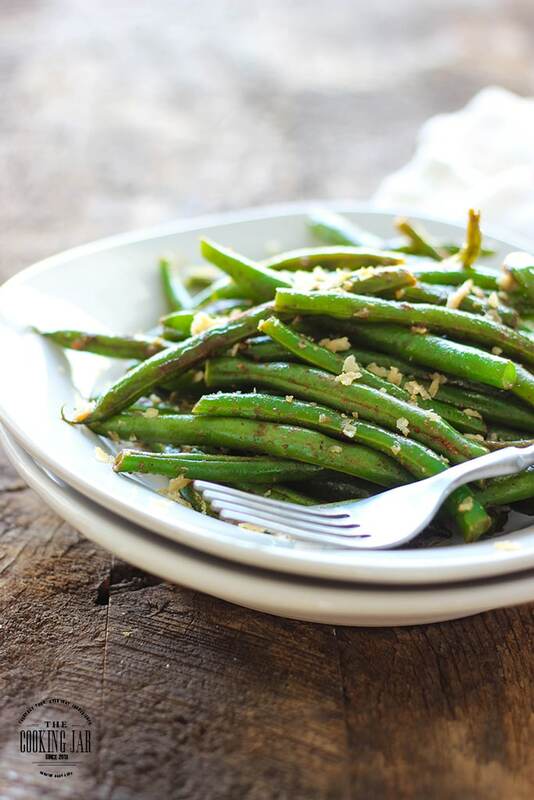 If you want to keep it somewhat healthy, use olive oil or butter substitute. This and slicing the mushrooms is the bulk of the preparation and cooking. 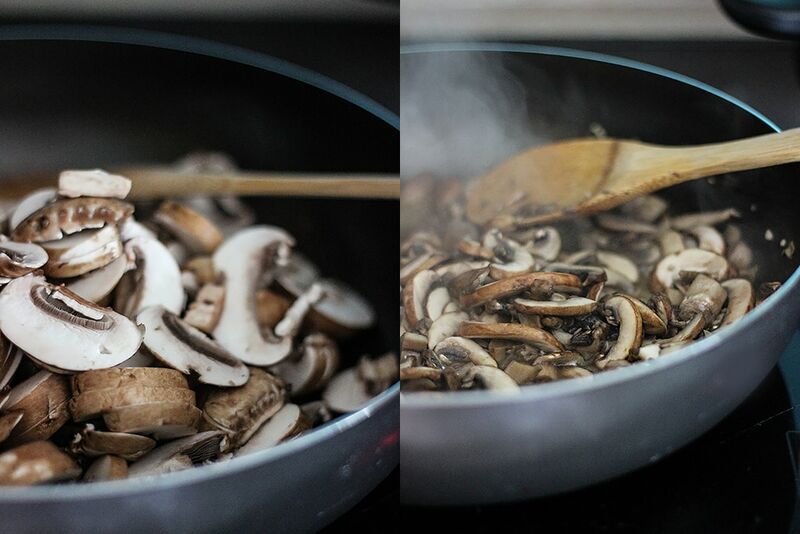 The mushrooms should look nice and browned once you’re done. Then we add some balsamic vinegar, parsley, thyme and sage and some wine (optional). 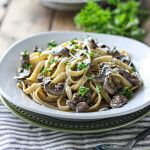 Pour in some heavy cream and chicken stock to make a mushroom sauce (sub vegetable stock to make the dish vegetarian). While it’s nice and hot on the stove, add in freshly grated Parmesan cheese and there you have it. Add in your cooked pasta and toss to mix it well. My measurements are for a light cream sauce. If you want it even heavier/creamier, just add more heavy cream and Parmesan cheese at this stage and simmer until it thickens a little. It won’t take too long. It has been way too long since I made a good alfredo. Thanks for this inspiring post.. 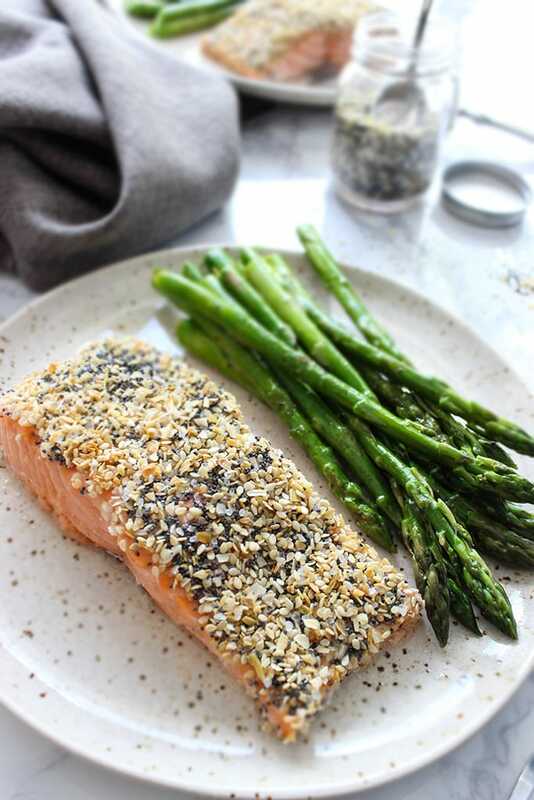 I definitely know what I will be making for dinner tonight! Oh yeah, I loved this Alfredo version. 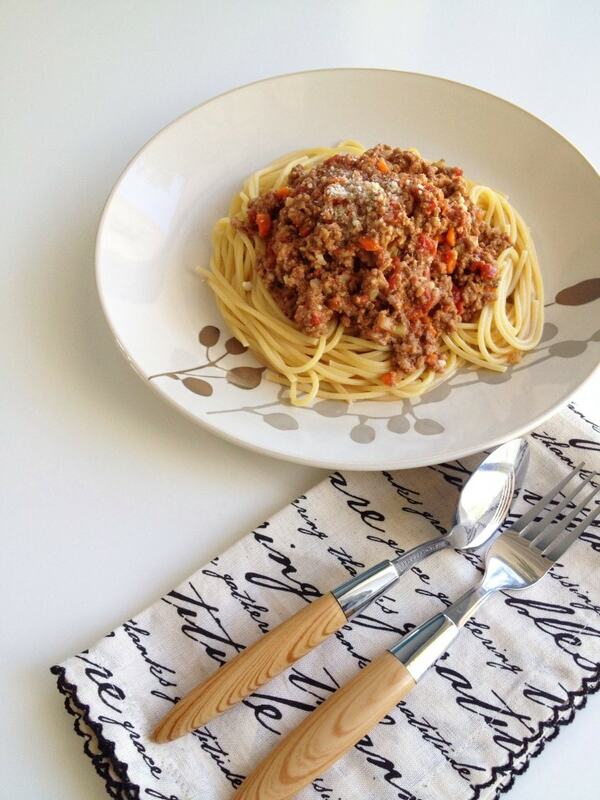 It’s gonna be a staple in my kitchen when we feel like going for rich pasta! Ooooh, this looks like some major comfort food! This is definitely going on my list of recipes to try.